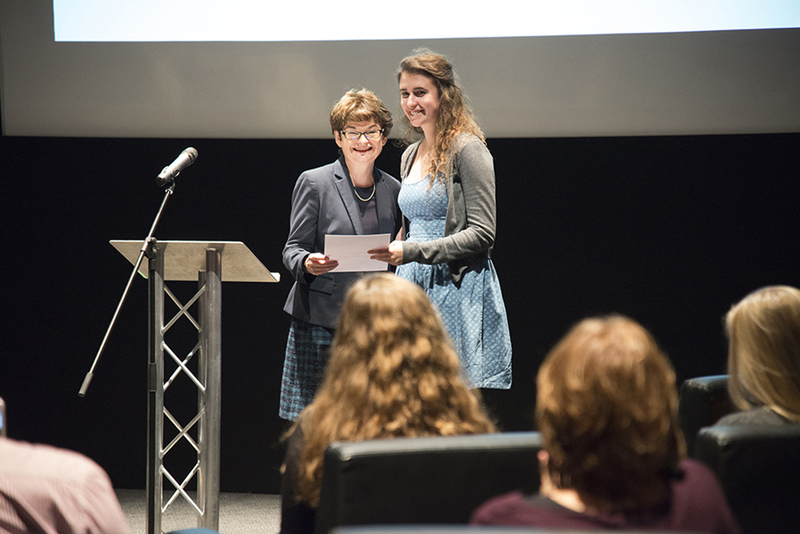 The University Library is thrilled that a St Andrews undergraduate, Jenny Elwin (4th Year, English and Modern History), winner of our James David Forbes Book Collecting Prize 2016 has been awarded the first Antiquarian Booksellers’ Association National Book Collecting Prize. The award is the ‘prize of prizes’, open to the winners of all the UK University book collecting prizes. 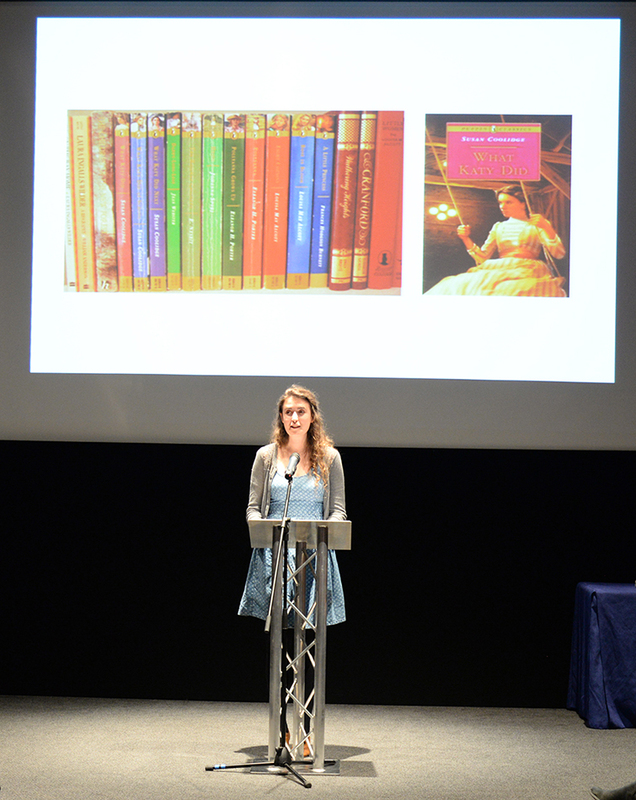 Jenny received her award at the Chelsea Antiquarian Book Fair in London last week. Jenny was presented with her prize of £500 for winning the JD Forbes Book Collecting competition in October by University of St Andrews Principal Sally Mapstone. The award ceremony, held in the Byre Theatre in St Andrews, also gave those attending the opportunity to see some of the books in Jenny’s collection. Endowed by Dr William Zachs, the annual James David Forbes Prize is part of the Scottish Universities Book Collecting Prize Scheme, which seeks to encourage the collection of the printed word in physical form among the students of Scotland’s ancient universities. 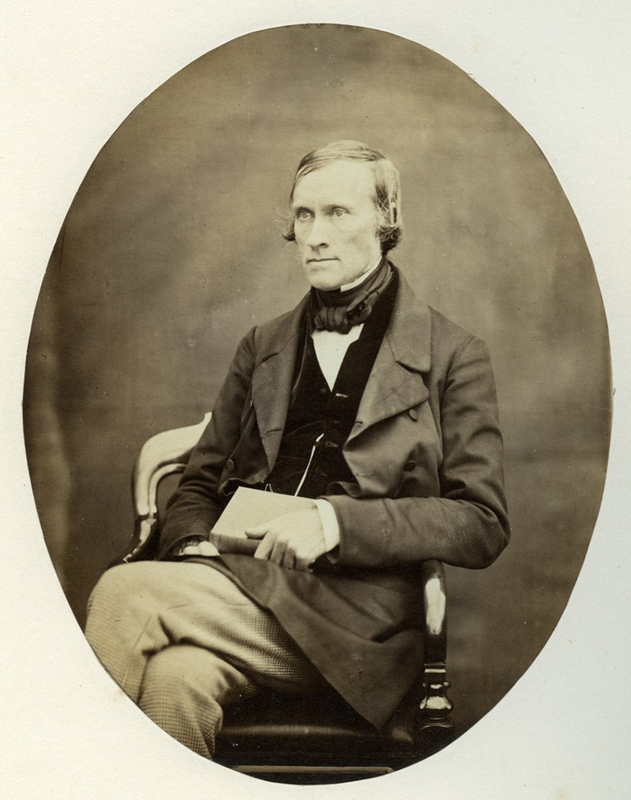 The prize is named for James David Forbes (1809-1868), an eminent scientist and the Principal of the United College of St Salvator and St Leonard at St Andrews. His outstanding library was presented to the University in 1929. In her application for the prize Jenny detailed how her collection, ‘Halcyon Days: Children’s Literature c. 1880 – 1945’, grew out of her love of the stories as a child, and her pleasure in sorting books on a shelf. In awarding Jenny the first Antiquarian Booksellers’ Association National Book Collecting Prize, the Association was impressed by her enthusiasm and passion for her collection, along with her understanding of the aesthetics of book production.